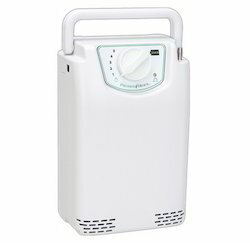 Pioneers in the industry, we offer precesion medical portable oxygen concentrator from India. We are reckoned as the prominent firm offering supreme quality Precesion Medical Portable Oxygen Concentrator. We have taken special consideration to the portability and have sourced the most trusted model in the industry which is capable of delivering constant flow of oxygen. Designed and developed by leading entities the offered model adheres to the set industry standards. Further, the robust and user friendly device is suitable for daily use and it can be ordered from us at a nominal price.